Starting on October 19th, Buttons and Bows will be on an Autumn UK tour. Taking in Newcastle,Manchester, Leeds, Nottingham (pictured below) and finishing in London, they're sure to be great nights! 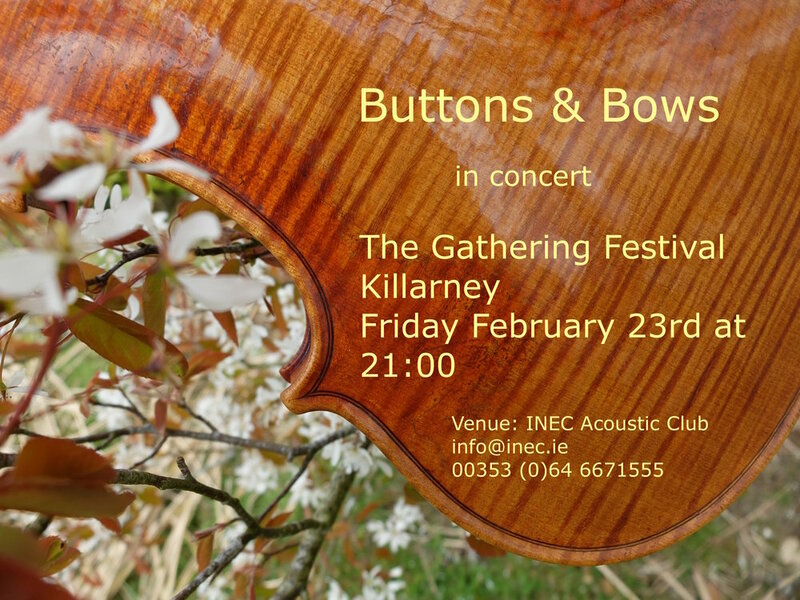 Buttons & Bows are delighted to be back in Cork on Saturday October 1st 2016 for the 37th Cork Folk Festival. The venue will be the School of Music at Cork Institute of Technology,time 8pm. tradfest website (see link below).